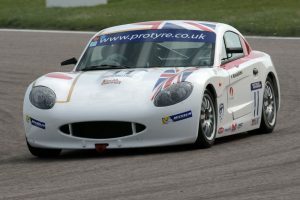 Century Motorsport – Challenging at the front! Following on from a successful debut in the Protyre Motorsport Ginetta GT5 Challenge at Oulton Park two weeks ago, Century Motorsport headed to Rockingham Motor Speedway for the next three rounds of the series looking to build on the strong pace they showed previously. Qualifying and the first race of the weekend took place on Sunday followed by the remaining two races on the bank holiday Monday. Danish driver Frederik Mortensen placed himself in an impressive seventh for Sunday afternoon’s race one followed by the ever-improving Osamu Kawashima in 21st. 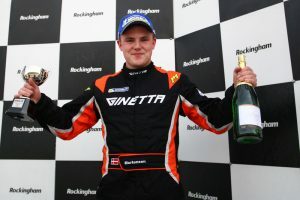 When racing got underway at the Northamptonshire circuit, Mortensen immediately showed his intent for the weekend by rocketing into fourth place at the start from seventh on the grid. Running comfortably in sixth place, an unfortunate last lap spin dropped Frederik to an eleventh place finish. Osamu Kawashima maintained his starting position to end the race 21st. Second fastest lap times from qualifying determined how the cars lined up for the second race of the weekend. Once again Mortensen was positioned in seventh with Kawashima 22nd. Another lightening start from Frederik promoted him to third after avoiding a first corner incident, Osamu also making his way through to 18th on the opening lap. The battle for third was now a five-car train but it wasn’t long until Mortensen started to pull away and close in on the lead pair as they continued to battle. As the flag fell however Mortensen came across the line holding his third position and taking his first podium in the series for himself and the team while Osamu continued to become more comfortable in his Ginetta G40 and cross the finish line in 18th. The starting positions for the final race would be the same as the finishing order from race two. Quick reactions as the lights went out from Mortensen gave him the inside line on the run to the first corner and as a result moved him into second rounding the hairpin past George Gamble. This was short lived however, as contact from Gamble at the next corner would send Frederik off the circuit dropping him down the order to 15th. 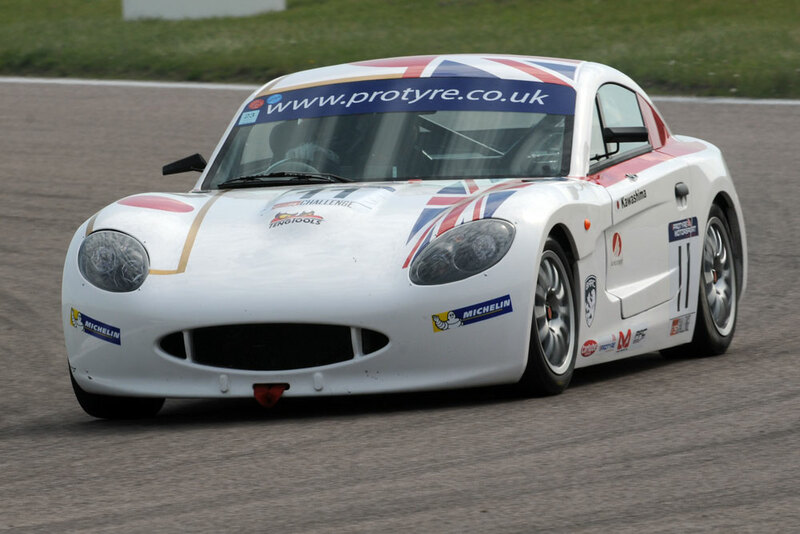 Kawashima was running in 20th locked in battle with the Ginetta G20 of David Pattison. Mortensen set about moving back up the order and while running 13th was given a drive through penalty on the last lap for an overtaking infringement under an earlier safety car leaving him to finish in 15th. Osamu ended his weekend in 19th after a race long battle with Pattison.